A Variable Word Length Euclidean Sequencer? Bored with all your step sequencers? What say you, Good People? 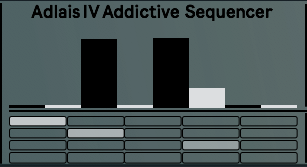 Paul Mac: "It's a fun little device definitely will remain in the arsenal for a while I think..."
JL (happy Adlais user): "This is truly a thing of beauty, Dave"
AV (The Tapeless World): "Great little sequencer for Ableton"